Sights 'N Sounds Post Video and Sound clips here. This forum is for video's pertaining to Ford's, Racing (Street/Strip), Interviews, and Off Topic. I have a 2009 Ford Focus SE. Manual Transmission. Bone stock, no upgrades no nothing. 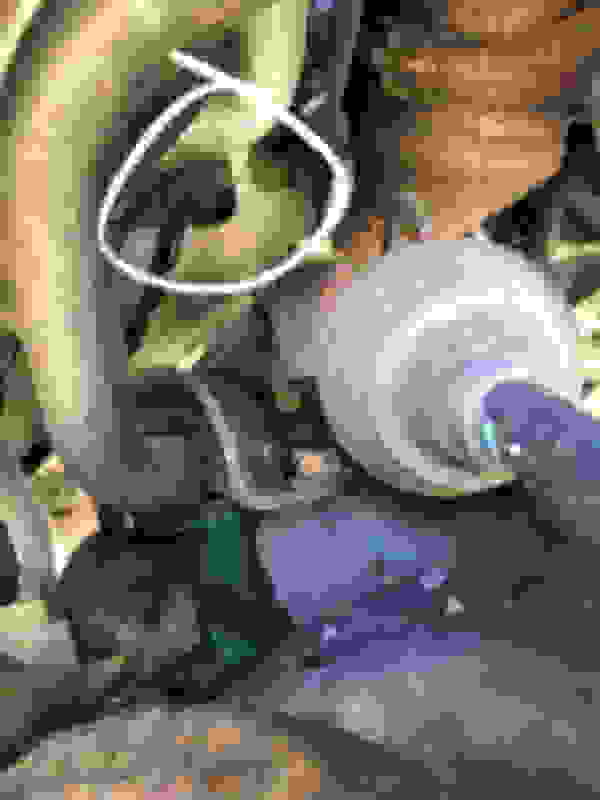 I was changing my serpentine belt this past Saturday and at first noticed the green liquid next to the (bad) sway bar bushing. Then I noticed (circled) the black tube with coolant very very slowly dripping out. When i I turn the car on, nothing happens. When I turn the heat on, it starts giving signs that there is air coming out (such as the liquid wiggling or wanting to come out) which leads me to believe it is some kind of air vent and the liquid may possibly be some kind of overflow safety? Any input is appreciated. If anybody knows what this is and can help me diagnose the problem I would be very grateful. It a heater core leak, the coolant is leaking from the AC/heater evap box drain..
Last edited by Hayapower; 03-26-2019 at 09:24 AM. Will this mean I have to drop the dashboard in order to get to it? Is it the heater core itself or is there other components causing this leak? Thank you you for your reply! Should have read the year ,, and looked a little closer ! Last edited by Hayapower; 03-26-2019 at 04:07 PM.